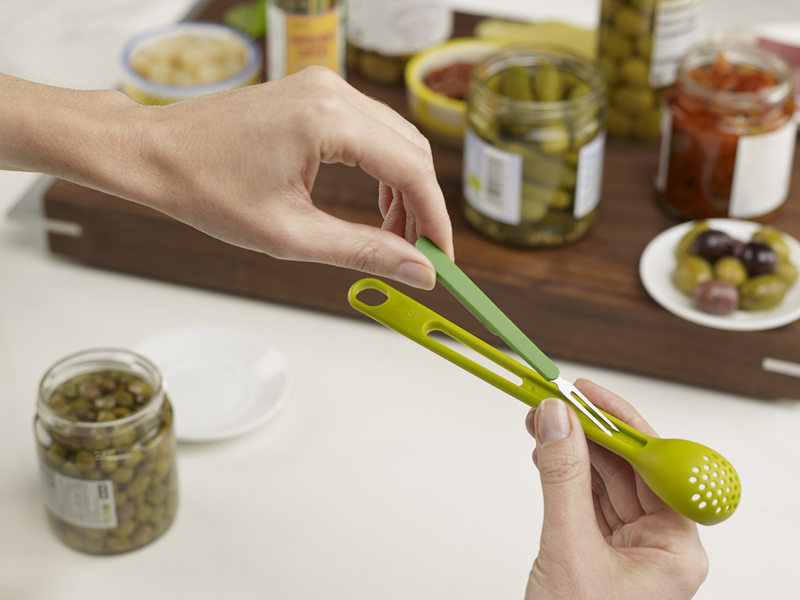 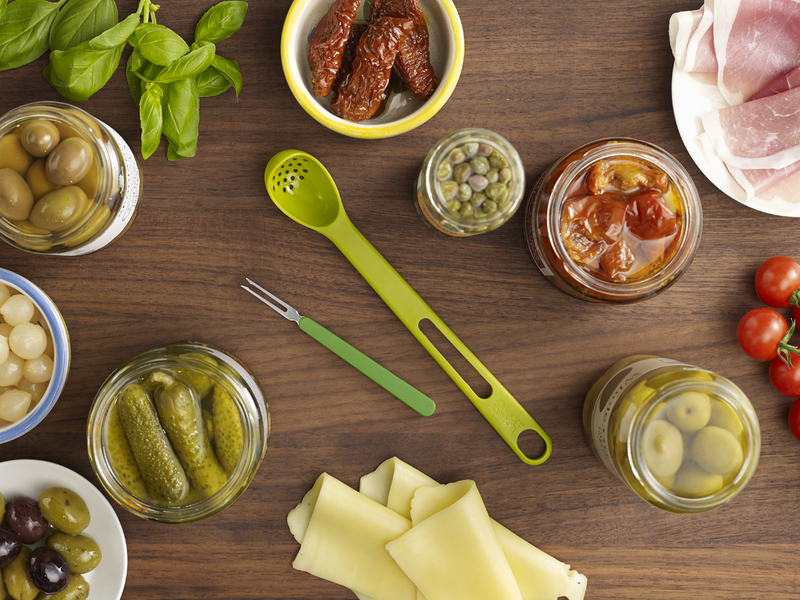 “Serve up mess-free antipasti and olives with this handy 2-in-1 utensil. 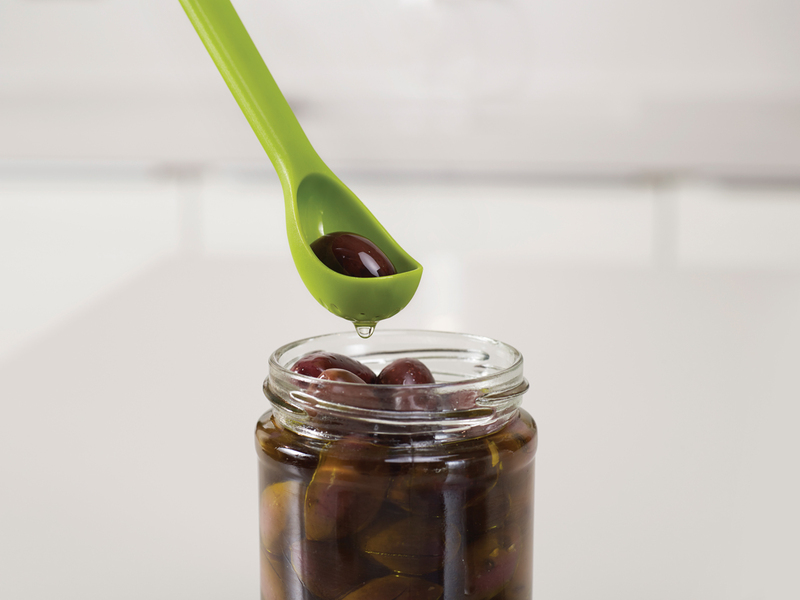 Firstly the long-handled slotted spoon ensures that you can scoop and drain from even the tallest jars. 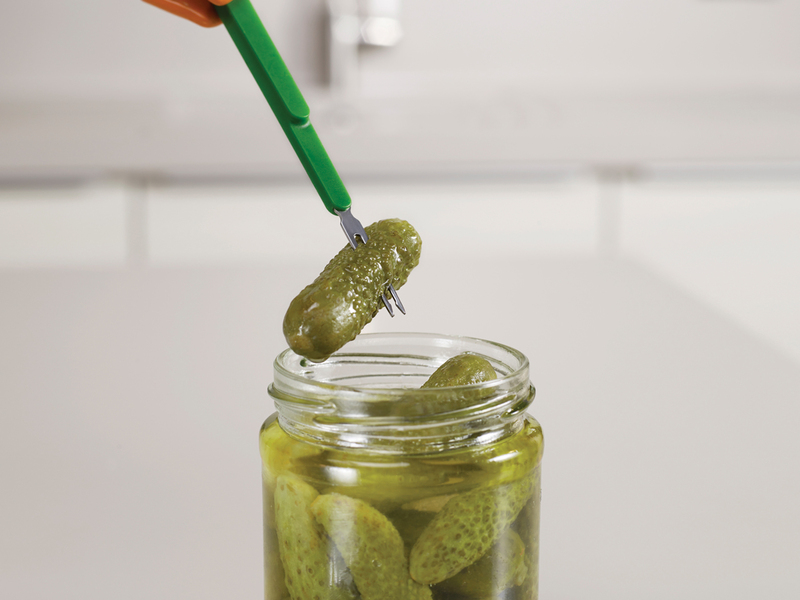 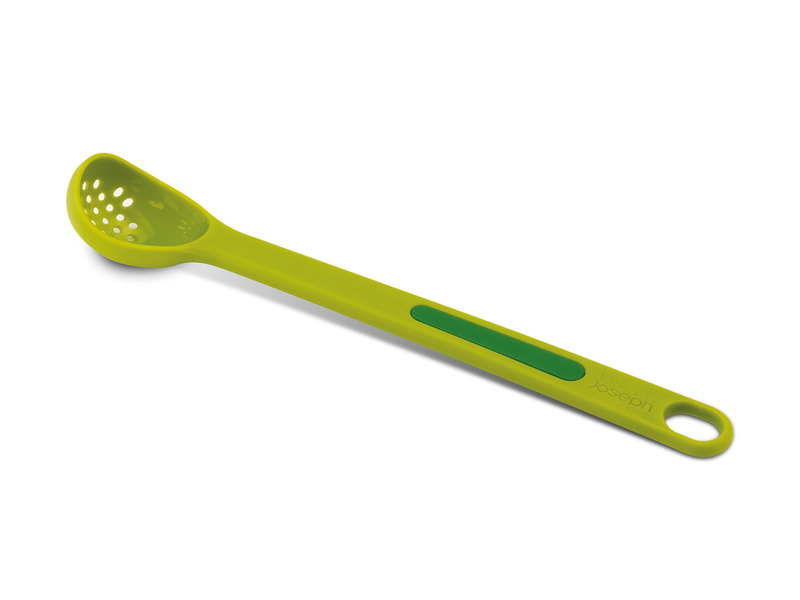 Secondly the integrated fork is perfect for skewering difficult to serve foods such as pickles or sun-dried tomatoes.